Kanké, 10, recovers from cholera at Donka Cholera Treatment Center in Conakry, Guinea, Aug. 18, 2012. 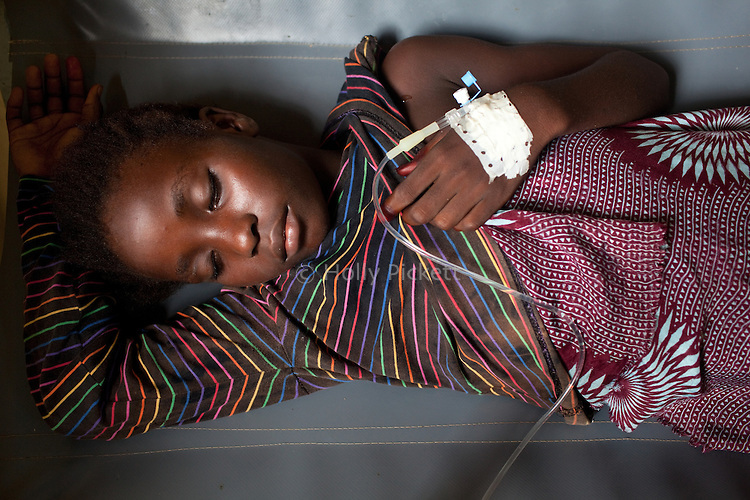 Médecins Sans Frontières is responding to a cholera outbreak in Guinea, which is affecting coastal areas and inland. Two emergency MSF cholera treatment centers in Conakry are receiving around 60 new cases per day, and a third treatment center opened over the weekend.